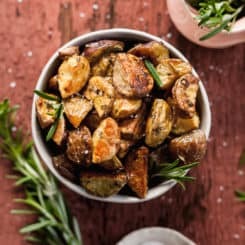 These Oven Roasted Rosemary Potatoes are a super easy side dish that can easily be scaled up for a crowd! 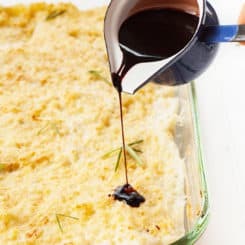 Mashed potato lovers, hear me out for a second. 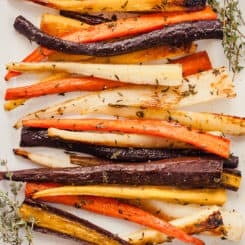 These Oven Roasted Carrots with Thyme make a healthy side dish for weeknight dinners and Thanksgiving alike! 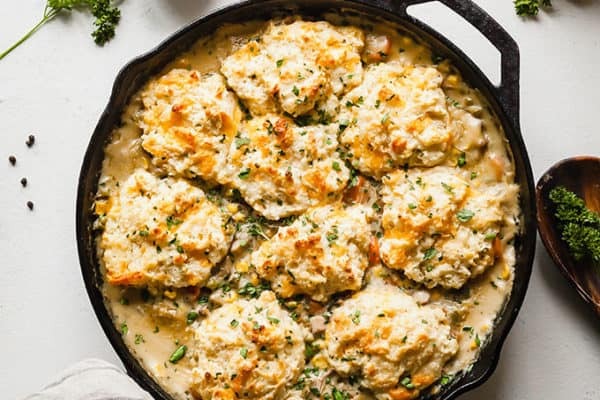 It’s here guys, the cheapest, easiest Thanksgiving side dish you’ll ever meet. 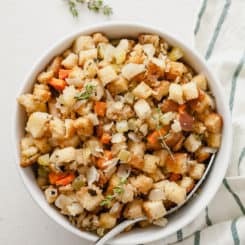 Vegetarian Stuffing should be a staple at every Thanksgiving and Christmas celebration! 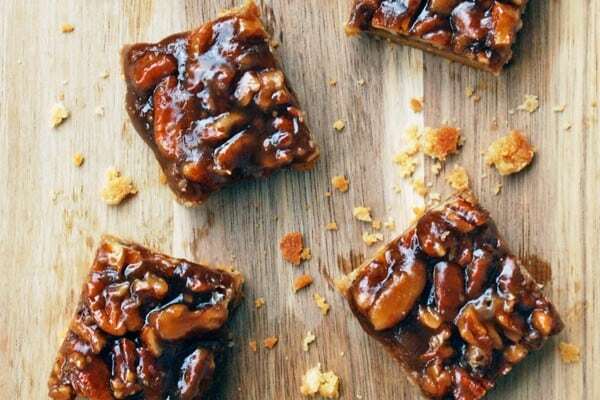 Let’s dive face first into food season, shall we? 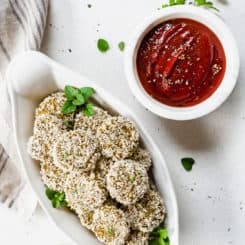 Homemade Veggie Nuggets are made from a variety of wholesome vegetables which come together to create a recipe your kids will actually love! Serve with sriracha ketchup for a spicy kick! 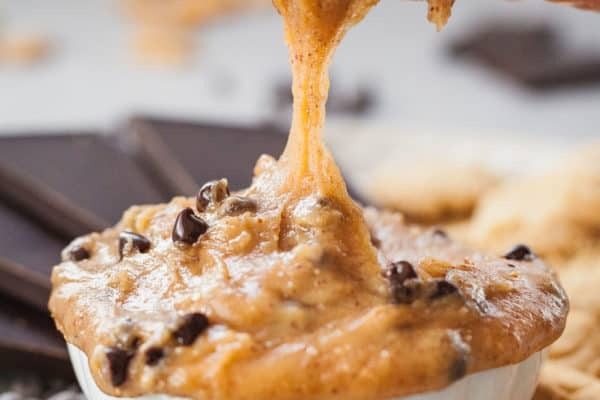 Let’s talk for a minute about what makes you want to eat something. 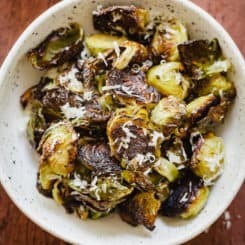 These Roasted Brussels Sprouts with Parmesan are baked in the oven in a cast iron skillet until crispy, then sprinkled with freshly grated Parmesan cheese! You guys love brussels sprouts. 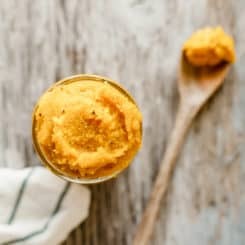 Learn how to make butternut squash puree that can be used in recipes, eaten alone, or served as a healthy first food for babies! 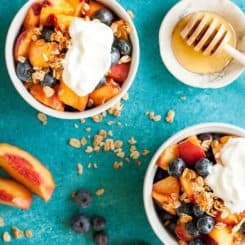 Today’s recipe couldn’t be easier. This recipe for Creamy No Mayo Coleslaw is sponsored by Kemps®. As always, all thoughts and opinions are my own. 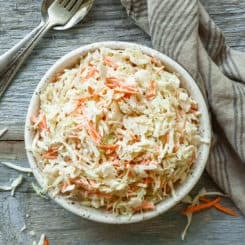 Today we’re talking coleslaw with no mayo that is still creamy, dreamy, and ready for your picnics, barbecues, and potlucks. 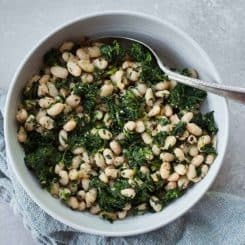 This vegan dish of Spinach and White Beans is easy enough for a weeknight meal and delicious enough for a holiday! Today I’m updating another old favorite that we eat frequently, but is still fancy enough to find a spot on your Thanksgiving table.